Are your family members against your decision to heal your cancer with natural remedies? Do they want you to do chemo, radiation, and surgery? If this is your problem, then this video will help them understand why you don’t want to do toxic cancer treatments. In this video, they are going to learn what cancer is and why we get it. Then they’re going to discover more about our corrupt medical system. And finally, your family members will also find out how to support you in your healing journey. So pause this video and show them the rest of this presentation. Hi, your family member or friend that has cancer wants you to watch this video. In this presentation, I'm going to explain why they want to heal cancer with alternative therapies. I know you want the best for this person and make them heal from cancer. We’re told that the only real treatment for cancer is chemotherapy, radiation, or surgery. So I understand why you’re worried when this person wants to take a different road. When you force them to do standard cancer treatments, you're doing it from fear and not love. Love accepts the person’s own decisions and supports them in whatever they do in life. Most of your fear comes from not understanding what cancer is. But after you watch this video your fear will go away. Before you dismiss alternative health, you first have to learn what it is all about. So now I’m going to end your confusion and explain what it is. Alternative health sounds vague, so it is understandable that you might oppose it. So what do I mean when I talk about alternative health? I better wording is holistic medicine. The term means finding the underlying cause of a medical condition and fixing it. It is the belief that our body wants to return to a state of homeostasis. Homeostasis is the tendency for the body to always go back to a healthy state. Our current western medicine only suppresses diseases. It's a system of fear while alternative health is one of love. Western medicine doesn’t try to understand what causes diseases. Instead, they suppress them with drugs or treatments. 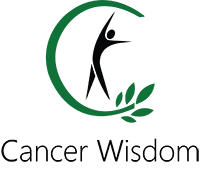 So let's explore what cancer is and why we want to treat it with natural remedies. We all have heard that cancer is a horrible disease and that we need to kill it with toxic treatments to survive. Cancer has always been a rare illness. It has only increased in industrialized nations during the past 40- 50 years. So why is cancer so rampant? Many people blame our genes for our increased cancer. Human genes have not changed that much for thousands of years. Why would they change so much now, and decide to kill people? Scientists estimate that only 5-10% of all cancers are genetic defects.So if our genes are not causing most cancers, then it must be something we do that is behind it. Cancer is more prevalent in western industrialized countries. And African countries have less of it.They must be doing something that prevents cancer from manifesting. Many people get a very negative feeling when they hear the word cancer.Our medical system tells us that cancer is a horrible disease. Somehow some healthy cells decided to disobey and cause chaos. But everything the medical profession tells us is a big lie. Cancer is not a disease. It’s a toxicity crisis. Cancer cells settle only in the “fertile” ground of high toxicity or acidity. It manifests when there are too many toxins in the body. Our healthy cells have to create cancer cells if toxins surround them. Cancer cells are oxygen deprived cells that use glucose to survive. They mutate so that they can live in a toxic, non-oxygenated area and neutralize some of the toxins. It would be a fatal mistake by the immune system to destroy these cells that are doing a vital job. Learn ​​what causes cancer here. Click to read more. Without the tumors, large amounts of septic poisons would kill you within hours or days. If they were no longer needed, one simple command from the DNA would stop them from dividing. Tumors cannot kill anyone unless they obstruct a vital path­way. Cancer cells contain no weapons to destroy anything.They are unable to form tissues; only healthy cells can do that. Tumors act like sponges for the poisons that circulate the body. The poisons are the real problem, not cancer. By destroying the tumor, the real problem remains and keeps creating new tumors. Cutting out, burning or poisoning a tumor does not prevent the toxins from spreading. No cancer treatment can compete with the body’s healing mechanism. We need to give our body more credit and trust what it's doing.The body has to exert a lot more effort to maintain a tumor than to eliminate it. It wouldn’t do that unless it had to use cancer cells as one of its last survival tactics. Everyone creates cancer cells every day. It is a normal process that the body uses all the time to deal with toxins. What kills a cancer patient is not the tumor, but the many reasons behind cell mutation and tumor growth. You have to remove the poisons already present and prevent new ones to stop cancer. If the obstruction is gone, there would be no further need for the body to create cancer cells. So what are the toxins that make cancer mutate? One primary source of toxins has to do with our diet. What you eat can either be acidic, alkaline, or neutral. Our body works best when our blood is a bit more alkaline. Cancer can only exist in an acidic state. When we eat the Standard American diet, it is hard for the body to maintain proper alkalinity. Populations that eat less meat have lower incidence of cancer. There are different things in the meat that can manifest cancer like IGF1, heme iron, and heterocyclic amines.To learn more about the devastating effects meat has on our health go to nutritionfacts.org. ​To learn more about these things watch our other videos on this channel. So if all these things can cause cancer then why doesn’t our medical system teach us this? Our medical care is one of the most corrupt industries in the world. Big pharmaceutical companies make billions of dollars out of cancer patients. They don’t want a cure for cancer because they earn more money by treating symptoms. This may sound like a conspiracy. Why would anyone suppress the cure for cancer? You’re right. No decent person wants to hide the cure for cancer. But you have to see the situation from the perspective of a psychopath and not a rational person. If you see it from the eyes of a psychopath, then it makes sense to hide the cure. If you heal a man, you can only charge him once. But if you only treat his symptoms, then you can make him a life-long customer. Why have we spent billions of dollars on cancer research and not found a cure yet? How can other industries develop so fast while the whole medical system is stuck in the stone age? ​Find out why there is no cure for cancer. Click to read more. You have to wake up to the idea that those working in the medical system is not doing what is best for us.It can be hard to grasp that those we trust our lives to don’t want us to heal. The truth doesn't change because you don't want to hear it. Big pharmaceutical companies control our medical system, the media, politicians, and the FDA. These companies are also called Big Pharma. Big Pharma is the biggest lobbying agent in the world. They are using their power to gain favorable treatment from legislators. Every year insane drug prices ruin millions of people's lives and put them into massive debt. Prescription drugs kill an estimated 100,000 Americans every year. Even if drugs have tremendous side effects, they are still allowed on the market.We learn at a young age to listen to authorities and experts. Many believe that doctors must know how to heal diseases because they went 7 years in medical school. ​Find out why drugs are so expensive in the US. Click to read more. We need to judge a person based on their results and actions and not their authority. Just because they went to medical school or got a fancy title doesn’t mean they know what they are doing. The proof is in the pudding. Doctors are the third leading cause of death in the United States. They poison cancer patients to death with their toxic treatments and get away with it. Doctors know nothing about nutrition or how to prevent illnesses. The next time you meet a doctor ask him what causes cancer, he can't answer you. Every time you visit a doctor, there is a big chance that you will walk away with a subscription. ​Learn why you shouldn't trust doctors. Click to ​read this blog post. The toxic cancer treatments we use today have never shown to cure cancer. Chemo has many side effects and is so toxic that nurses have to wear protection to not destroy their hands. It is the reason why cancer patients lose their hair, not cancer. There is no scientific proof that chemo is effective. One famous study even found out that chemo only worked 2% of the time. ​This quote could not be truer when it comes to cancer and chemo.You can’t expect to heal a condition with the same thing that caused it. ​Discover more about the devastating effects of chemo here. No one would clean a dirty room with more dirt. Using chemo is insanity and the reason why we still allow it is because no one dares to question it. Radiotherapy like any radiation causes more cancer. Not only does it generate more cancer but also affects the heart muscle and leads to strokes. ​Find out more about radiotherapy here. Cancer surgery is only useful if the tumor is large and concentrated in one area.Once cancer spreads to other areas, it becomes useless. ​Click here to learn more about cancer surgeries. Women who do mastectomies do not increase their survival rate compared to women who don’t. Like with any cancer treatment, surgery treats the symptoms of cancer and not the cause. If you watched this video until now, then you should understand that the way we treat cancer today is wrong. So let’s learn how you can support your loved one in their healing journey. ​Cancer is a toxicity crisis. Cancer cells settle only in areas of ​high toxicity or acidity. We get toxins from our diet, stress, heavy metals, water, and other sources. The cancer industry doesn't want to find a cure for cancer. The best way you can support your loved one is to learn what cancer is and how to prevent it. The best thing you can do for your loved one that has cancer is to learn more about it. When you understand that cancer is there to help us, you will be less fearful. There is no cancer that someone has not survived from, regardless of how far advanced it was. If even one person can do it then others must too. Cancer can’t survive in an alkaline body. When you fix the toxic acidic condition, the cancer is no longer needed and will go away. I don’t want you to trust everything I say just because I say so. The only way you can know if the things I say is true is by trying it yourself. If you see good results in your own health, then that is a testament that it works. I’ve prepared a cheat sheet that explains various ways to prevent cancer. In this document, you will get a better understanding of how you can stop cancer and try ​alternative cancer ​treatments.